The second half of my employment at Jaludo, I worked part-time on the multiplayer games. These games were the pride of the company and had a special social environment on the speeleiland website, allowing the players to chat with- and challenge their friends. Most of my time working on the multiplayer section of the company, I was responsible for the design of the multiplayer lobby. This was interaction design heavy work and consisted of creating many wireframes and elaborate documentation. In later stages it included working closely together with the art and webdesign department as the lobby had to be integrated into the company websites. The lobby was an online social environment where players could log in, chat, add friends and check their status, enter games and challenge specific people to a match in one of the multiplayer games. The lobby project was completed successfully and positively received by the community on the Speeleiland websites as it boosted the activity of the players. Unfortunately it has been taken offline since I left the company for reasons unknown to me. Regrettable because I am not allowed to show documentation of the lobby design on this website. 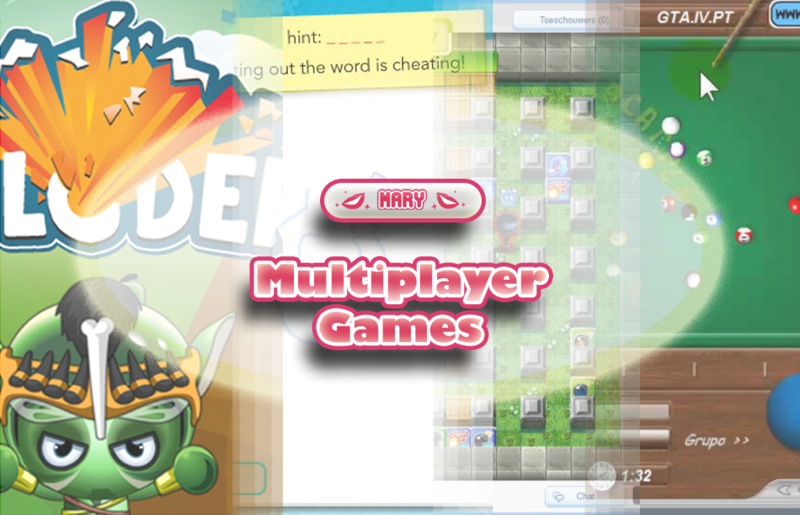 Exploders is the biggest game I’ve worked on at mary/speeleiland. 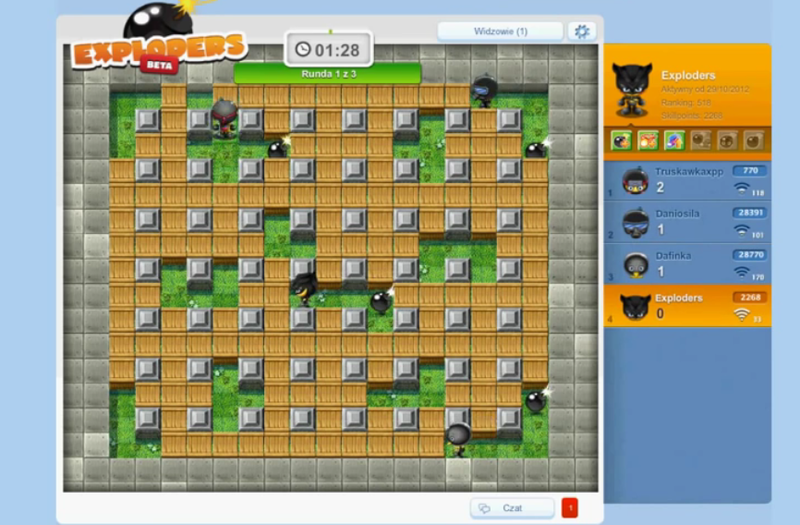 It is a bomberman game, which revolves around playing with and against your friends. The game features global rankings and in-game purchases. In-game the player could choose from a range of characters with familiar appearances, some of which could only be bought with real money. The player could also choose the type of match, a playing field or spectator mode to watch others play. I was part of a team of designers and responsible for some of the game design and the communication and management of the external developers. 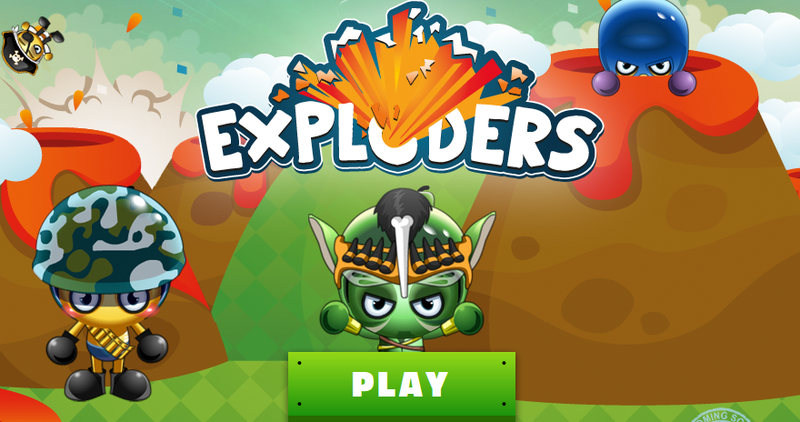 Exploders was very popular on the Speeleiland websites when it was first released and scored 8.3/10 there. 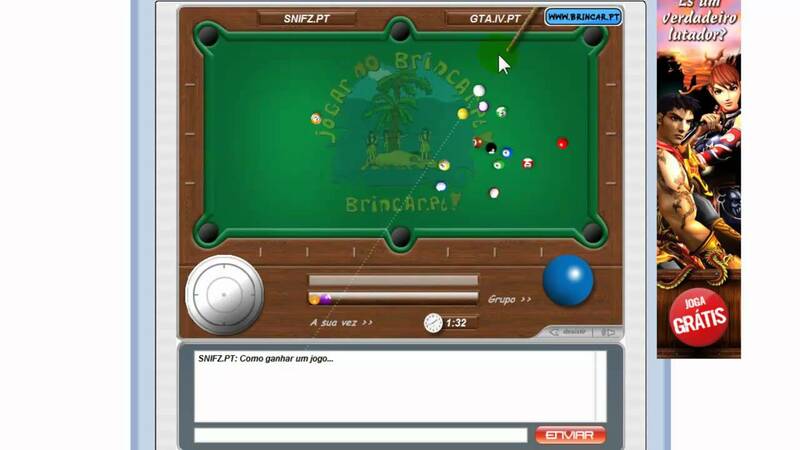 Another game where it was important to play together, 8-ball was a classical poolgame in which you could challenge and chat with friends. 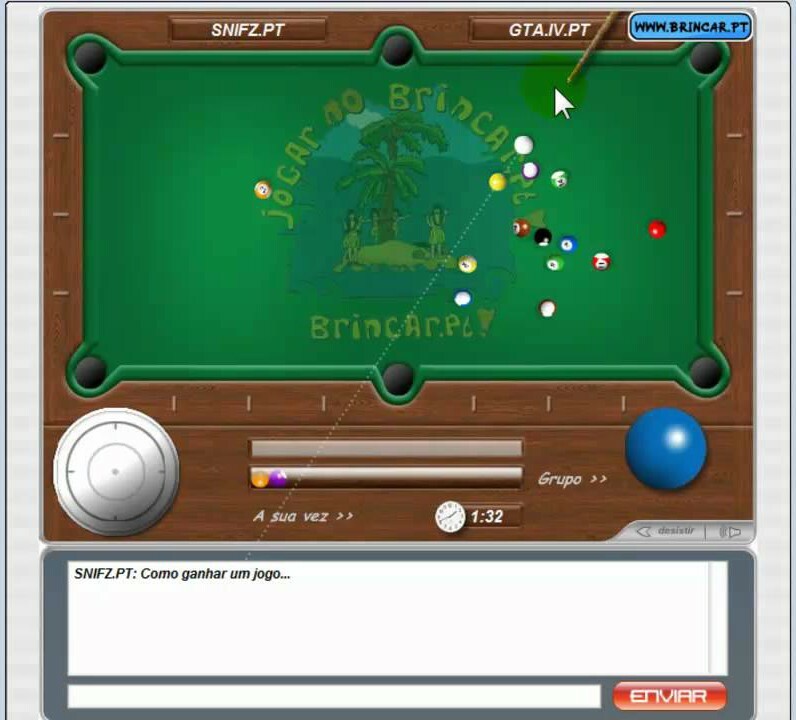 the game was built upon the original 8-ball game of speeleiland, which already had most of its features built in. The version I worked on integrated the new multiplayer lobby and new avatar chat system. Unfortunately, since the lobby was taken offline the newest version of this game is also no longer online.